Listed in: Gifts, Jewelry and Watch categories. 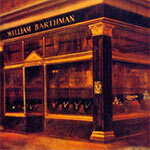 Celebrating its 122nd year, William Barthman is not just another store, but a place steeped in history and tradition that has proudly and steadily served its customer community. Get more for your wedding! Don't forget to mention ChossonKallah.com when visiting William Barthman.